The gerbera daisy is a member of the Asteraceae family, making it a close relative of sunflowers, asters, and of course, daisies. Botanist Robert Jameson first found gerberas growing around mines in Transvaal, South Africa. The flower’s scientific name is Gerbera jamesonii. In the Victorian language of flowers, gerberas mean happiness. They are a symbol of the simple beauty that often translates to a very happy life. Gerbera daisies are available in all colors but blue. So, if you find a blue gerbera, it’s most likely artificial. Gerberas were not grown in North America until the early 1920s. Place gerberas by your bed to enjoy a night of good sleep. This flower emits oxygen and absorbs toxins at night. 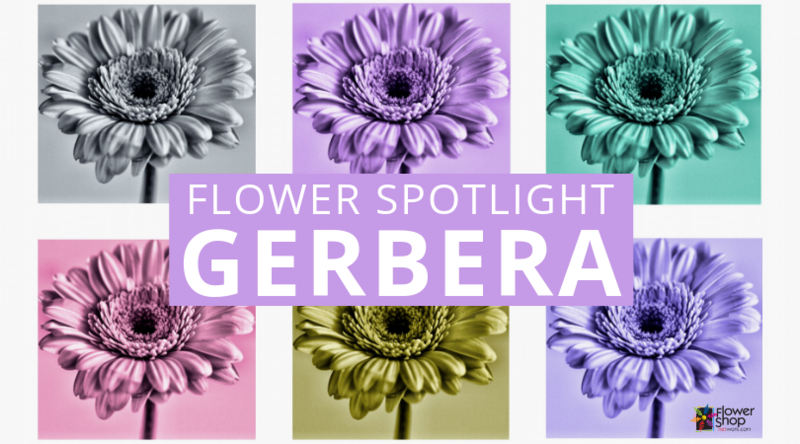 Click here to see more facts about the gerbera daisy! To make sure that gerberas are available when sending your next flower arrangement, contact your local florist! Gerber was never in South Africa. Thank you for checking that for us. We will be sure to edit the blog to show that he wasn’t in South Africa.